I’d never seen this dove before let alone found one in my garden. 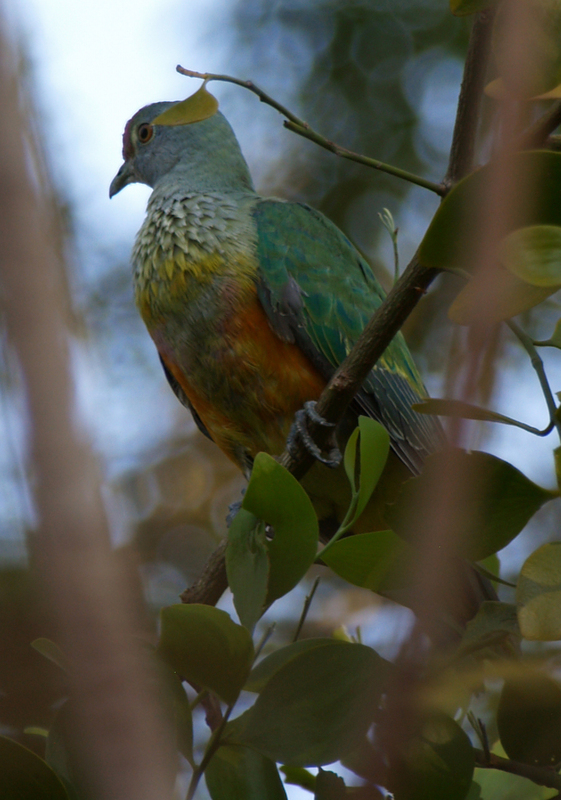 Rose-crowned fruit-doves are notoriously difficult to see as they tend to sit in the canopy hidden amongst the leaves where they look remarkably leaf-like themselves, so the fact that a male was foraging in a tree right outside my office window was a pretty special thing. This one was quite bold and not at all fazed by the yellow figbirds and olive-backed orioles also foraging noisily nearby. In fact he seemed to be posing and it would have been rude not to sneak outside and take his photo. Once back inside I added him to the growing list of species I’ve recorded on my bush block in the last couple of years. He’s number 88, but he’s so much more than just a number.